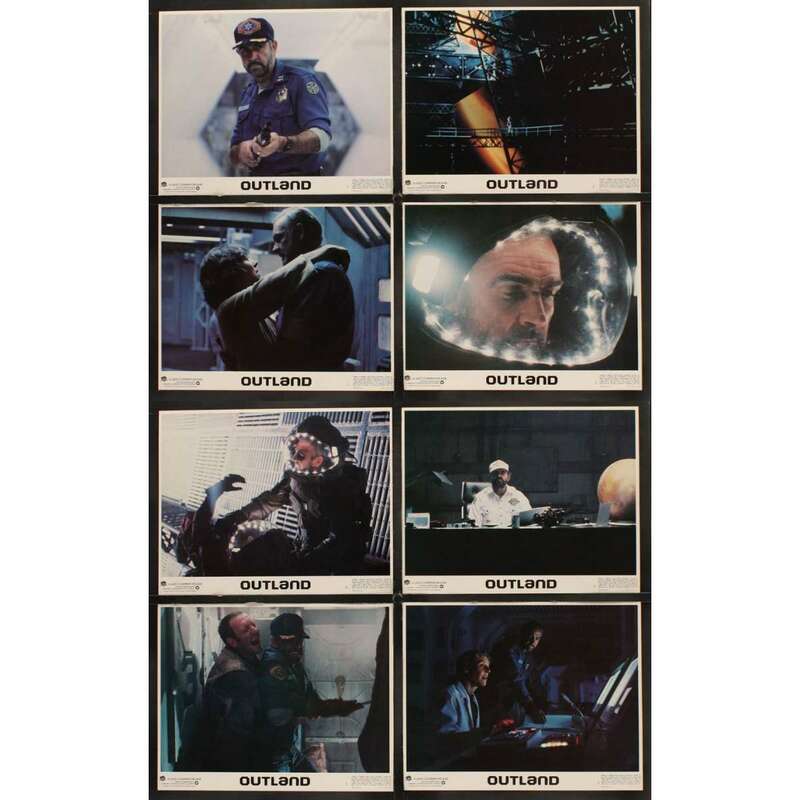 8 Original Vintage Theater-Used Movie Lobby Cards of OUTLAND (LCs; measure 11" x 14") very good to excellent. Note that these lobby cards have no tape whatsoever on the front or back, and they have never had any restoration of any kind! Outland is a 1981 British science fiction thriller film written and directed by Peter Hyams. Set on Jupiter's moon Io, it has been described as a space Western, and bears thematic resemblances to High Noon. The film stars Sean Connery as Marshal William T. O'Niel, Peter Boyle as Sheppard (the General Manager), Kika Markham as O'Niel's wife, and Frances Sternhagen as Dr. Lazarus.